The United States labor market is at record unemployment, with more than one job available for every unemployed person. It’s the best job market in modern history for workers. But on the flipside, it’s a challenging time for companies who need to hire and retain workers, especially customer support associates. Many companies are tackling the issue by throwing money at the problem – increasing wages to keep up with competition. While it could be a good short-term tactic, but in the long run it’s akin to competing on price, which is hard to maintain over time. Attracting CX talent is just one part of the equation. All the hard work to attract great employees is fruitless if they don’t feel valued and become at risk to leave. Make sure your organization is not a leaky bucket. Keeping employees engaged must be a priority. We recommend taking a comprehensive approach through a combination right shoring, automation and technology, customer journey planning, employee development, and analytics. Here are five strategies to navigate the labor crisis to attract the best people for the job and keep them engaged and loyal to your customers and your business. Right market, right wage, right result. Depending on your business, there may be lower-cost contact center options than what is currently in place. If you manage your own contact center, outsourcing may provide cost benefits. Or if you outsource in the U.S., there may be near-shore, offshore, or at-home choices to consider. Balance automation with humans to deliver better, more valuable experiences with fewer people. The upside of automation is that it can take away tier 0 and tier 1 service resources, freeing up humans to focus on the more important and emotionally charged interactions. 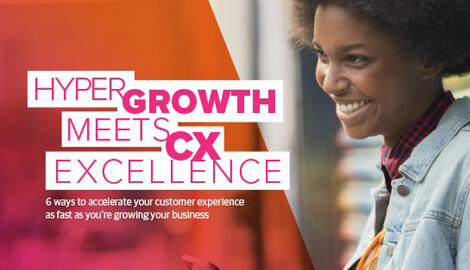 Reimagine the customer journey and contact center operations. Zeroing in on inefficiencies that slow down operations and cause friction in the customer experience can help companies identify areas that constrain their long-term growth, scalability, and ultimately profitability. The good news for companies interested in improving their operations is that even small, incremental changes can make a big difference. Your people are your secret weapon. Your front-line employees represent your brand to customers, and their performance can make or break relationships, as well as keep operations running smoothly. Having happy, knowledgeable, invested employees more easily translates into increased customer satisfaction, retention, and longevity. Invest in their training and development—with the help of new technologies and data insights—to enhance their satisfaction, loyalty, and willingness to refer friends. Use data to better understand your labor situation. A labor analytics platform can delve into associate data to help leaders understand demographic and economic realities of their workforce, as well as performance and propensity to stay or leave. This gives you insights into how to attract and retain the best employees for your situation.